In the examples here, follow the numbers from desktop to tablet to mobile (the top set being two separate sites, one for desktop/tablet – and another for mobile, while the second example shows a responsive design). In order to answer this question, you’ll need to have a good idea of the needs of your business/organization – and in particular, at least one important factor. The reasoning behind this – is that if you have a company that depends on foot traffic for a substantial portion of business, you may want to present a separate mobile site to convert customers “on-the-go.” This could include coupon presentation, location information, hours of operation, or quick access to contact information. A full website would have more information about the business – and reasons why they should go there when they are “out-and-about.” The two methods are different – as mobile should be a “quick-hook,” and the desktop is a slower sale – as the person is researching details about the business, and isn’t as likely to make a quick decision. It may provide information that the site visitor will need to hang on to, for the future… such as up-coming events that might not be important for a mobile site visitor who wants information about the location RIGHT NOW. Make sense? Another example, is if your company is a “service-based” company, it might not make sense to provide a mobile website – as you don’t have customers that are “on-the-go” – and you don’t need to treat customers any different, if they are sitting in front of a computer – or if they are checking on a phone or tablet. 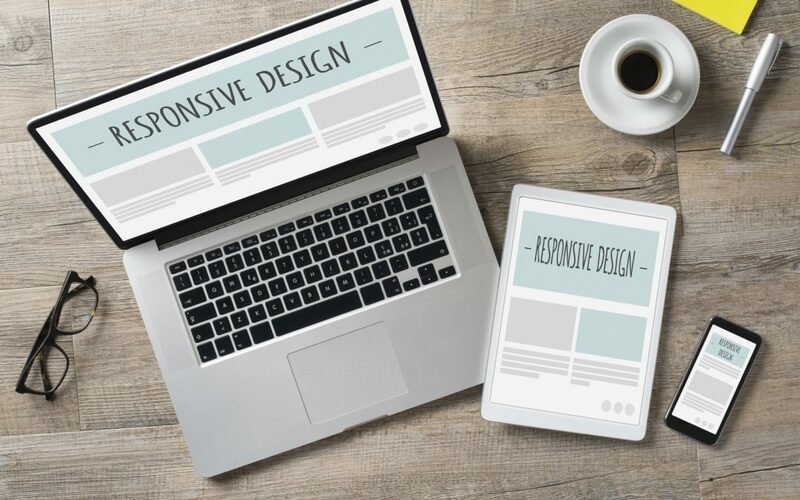 You may want to focus on providing a consistent experience to all customers – using a responsive web design, that is much easier on the eyes – and you don’t need to “pinch to zoom” to locate information on the page. Can the code on an existing website be changed into responsive web design? Yes. That’s the quick answer, although it’s more a LOT more work than starting fresh – and the costs involved would completely eclipse a full redesign. In order to take full advantage of the responsive web design we offer, you may want to inquire about a new website. It’s very difficult to take an existing website and make it responsive as-is. Not saying it can’t/shouldn’t be done – just that there are far better options out there. Again, this goes back to your business/organization needs. If you would like to target a mobile group differently than a stationary desktop/laptop group – then a mobile website would be a great option. If you don’t care either way, then a responsive web design would be the best option. The “better” choice is the one that will help you succeed, and it heavily depends on your needs as a business. Is my website a responsive web design? If you were to open the website on a desktop/laptop – and take the side of the browser window and click/drag it across the screen, you’ll be able to see elements on the webpage move around, either further down the page – or squeeze side-to-side to accommodate for the change in the width of the browser window. If nothing on the page moves or reorganizes automatically during this test, then it’s most likely non-responsive. Google has an easy to use mobile-friendly testing tool. Is my website a custom mobile site? If you have a smartphone, open the website on your smartphone! If it looks different than the desktop version, or in your browser address bar you have a “new” address (i.e. m.columbian.com) with an m-dot in front (or something similar) – it might be a mobile only website, created to display only on mobile devices. Many times, these websites are created to target users that are “on-the-go” – and have items that should be considered important information for someone in a hurry. The mobile site should not be “media-heavy” (i.e. no large pictures, no video, no sounds), as it has to load quickly over a (possibly slow) data connection – and you”d be hurting your business by adding in more information that will increase load times. Mobile sites should be quick to load, and should showcase information to mobile viewers.